Evanston, IL, USA (Sept. 18, 2014) – BBC Earth and Giant Screen Films are proud to announce that the BBC Earth’s first two giant screen releases will be showcased at the GSCA conference in Toronto this weekend. The two films, Walking with Dinosaurs: Prehistoric Planet 3D and Tiny Giants 3D, will be screening at the Scotia Bank IMAX Theatre on Saturday, September 20th. Walking with Dinosaurs: Prehistoric Planet 3D takes audiences to an extraordinary prehistoric world, revealing the story behind the lives of dinosaurs and the challenges they faced in a constant battle of survival, all told with the most ambitious of CGI visuals. 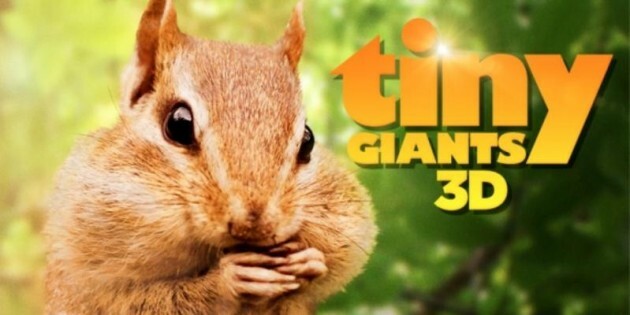 Tiny Giants 3D tells the story of the day in the life of two little heroes, a chipmunk in the hidden kingdoms of the Enchanted Forest and a scorpion mouse in the unforgiving desert of the Wild West. Using the incredibly immersive power of specialist 3D cameras, it is a story of drama, danger and courage, of insight and revelation, a journey to discover and understand a new and fascinating natural history. Walking with Dinosaurs: Prehistoric Planet 3D will screen at the Scotia Bank IMAX Theater at 9:55am on Saturday, September 20th and Tiny Giants 3D will screen immediately afterward at 10:40am.